For a limited time only, this book is just $2.99 / £1.59 on Kindle. The fate of sporting underdogs has long stirred the passions of many a follower. There is something pleasing about watching apparently ‘ordinary’ people taking on the sporting elite. Teachers, accountants, fishermen and waiters – they play for the love of football and the pride in their nation. 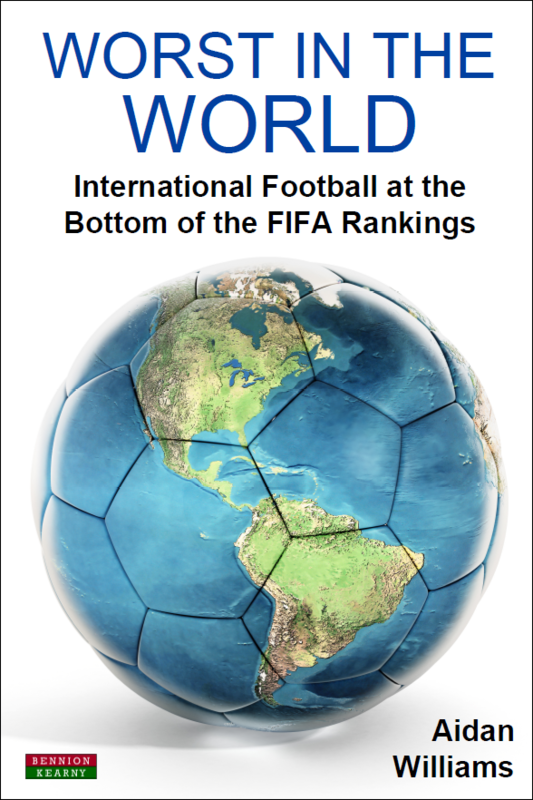 For footballing countries stuck at the bottom of FIFA’s world rankings – life can be hard. Sporadic fixtures against far better equipped sides can be a soul-destroying enterprise with frequent defeat, sometimes bordering on humiliation, the regular outcome for these teams and their players. But when that positive result finally arrives, it can mean so much: unbridled joy, national glory, and even… redemption. In Worst in the World, Aidan Williams looks at the national teams at the wrong end, so to speak, of FIFA’s rankings. In doing so, he brings attention to those nations whose footballing aspirations lie not in trophies or even qualification, but simply in the love of the game and the pride of representing their country. Aidan Williams hails from Newcastle upon Tyne, is the Editor of The Sports Book Review and has written for various football websites including These Football Times, Back Page Football, Sports Haze, UFWC and The Worst in the World. He also writes various travel articles to balance out the sporting obsession.